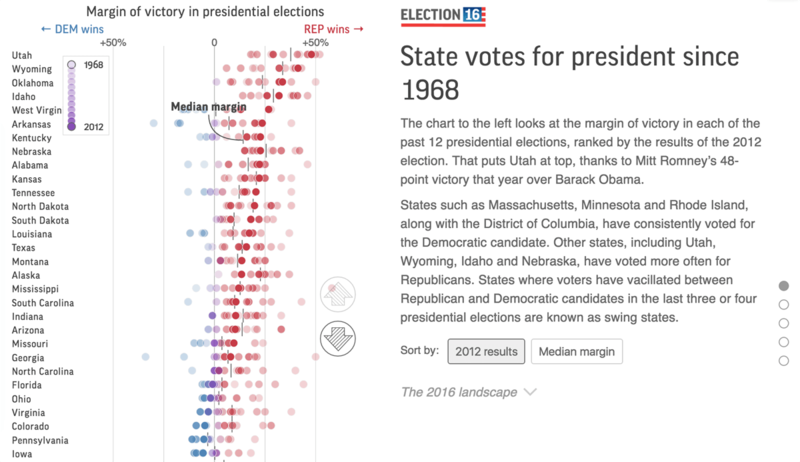 How big an influence does history play? 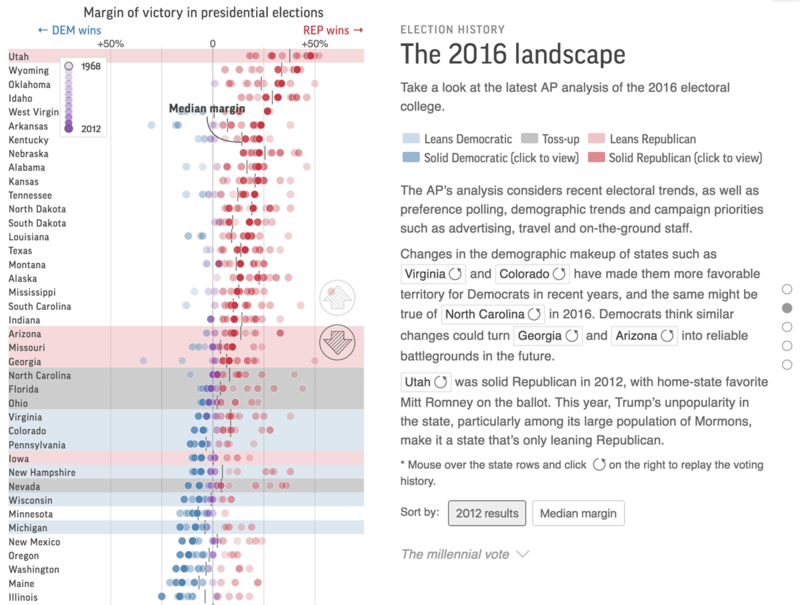 Voting trends of states and demographic groups is an area of interest in each election year. Prediction models and weekly analysis are built on top of that. 2016 is no exception. 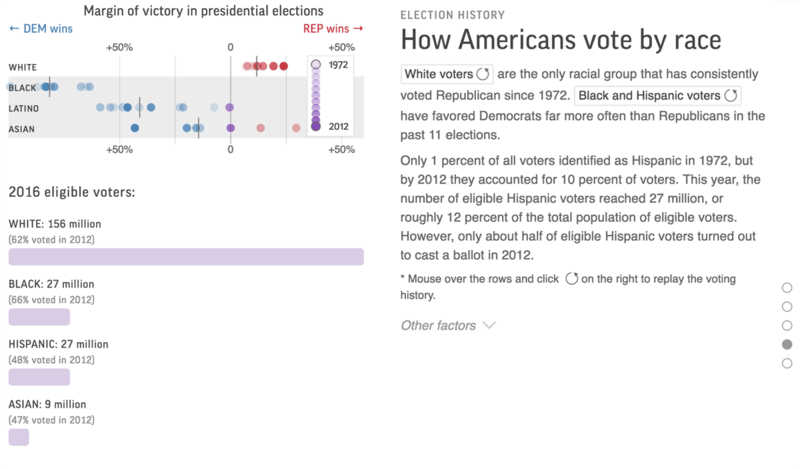 The scroll-based data visualization provides an analysis of how history might influence this election, as well as walks users through the electoral history of U.S. states and various demographic groups.